The joy of having a baby is incomparable. Because your baby is a gift, you should take care of him or her at the best of your abilities. One way of doing this is through having a thoroughly-prepared nursery. It should not only look good but must be complete with the different items that are important for the newborn. Even if you want to be beside your baby all the time, such is not possible. You have to do chores in the kitchen, garden, or living room. In these instances, installing a baby monitor will be a good thing. You can see what is happening in the nursery. You can even be alerted once it is becoming too hot or too cold. Some baby monitors have a two-way communication feature, allowing you to sing a lullaby even if you are in a different room. Graco Pack and Play Playard with Cuddle Cove Rocking Seat, Winslet this will act as the crib for your baby. The good thing about pack and plays is that they are portable. You can have them easily folded when you need extra space in the nursery. In the same way, because of their foldable design, you can have them easily moved around, and you can even bring it with you when you are traveling. Make sure that it has a stable and sturdy design for the safety of your baby. Your baby’s health is a critical concern. They are sensitive, and hence, you have to make sure that the air they breathe is clean. With this, having a humidifier will help. Whether it is winter or summer, it will help to create a healthy environment. Invest in a humidifier with state-of-the-art technologies. It is also essential to choose one that operates quietly so that it will not disrupt your baby’ sleep. 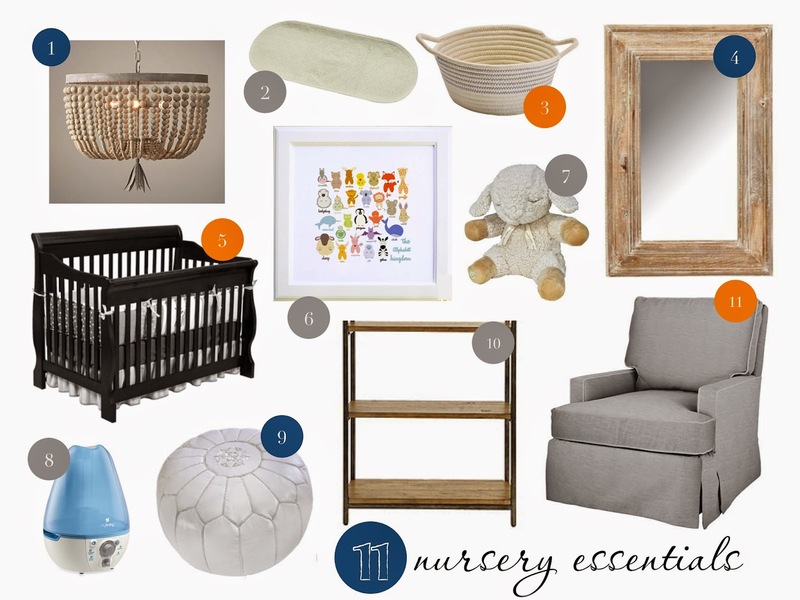 You are responsible for making the nursery free from clutter. To stay organized, make sure to have a dresser with appropriate size, depending on the size of the room. This will provide you with space where you can keep baby’s clothes, among other essentials. It will also be a good idea to have a dresser with a top that doubles as a changing table to encourage efficient use of available space. To help soothe babies, swinging them in back and forth motion will help. While you can do this while standing up, it can be demanding regarding effort. Therefore, having a glider or rocking chair will help. You will feel comfortable while the baby feels relaxed as well. Make sure to try the rocker before having it purchased. Choose one that is made from comfortable and durable materials to be provided with the best value for your money. Choose toys that will be fitted for the age of your babies. When they can already crawl or walk, toys will be more important to keep them occupied and to prevent crying. Toys with lights and sounds will also be good. Nonetheless, not any kind of toy would suffice. Choose toys that will be helpful in their development. Also, check the materials that are used and make sure that the toys are non-toxic. Babies are used to darkness because they have stayed in the womb for months. With this, you might think that a night light is unnecessary. In reality, however, this is another functional item that you must have. Creating a dim environment encourages better sleep rather than an environment that is dark. Night lights can set the mood to improve sleep. This will also be good for parents to have ample amount of lighting when they have to check on their babies. When babies start to crawl, they need a bigger space outside of their playard. Encourage them to crawl on the floor. However, because the flooring is often made from hard material, having a rug or any soft material will help. This is one of the items that most parents tend to ignore in spite of its importance. Having a place to dispose of used diapers will be important. This will help to prevent having a foul odor. More importantly, it is critical for sanitary purposes. You cannot just leave dirty diapers anywhere. Having a dedicated pail for the diapers will surely make your life more convenient. If your crib or playard does not come with an integrated mobile, you can opt to buy one and have it attached. Mobiles will help to provide a soothing environment for babies. Mobiles will give them a more soothing sleep and an entertaining time when they are awake. Light, music, and moving toys are just some of the essentials in mobiles.